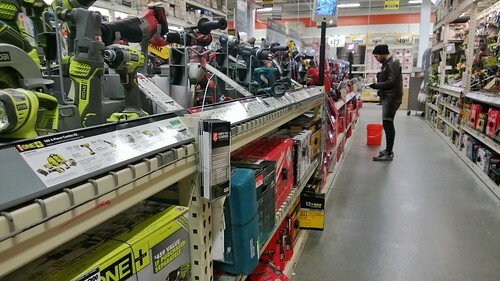 I visit Home Depot for style – think colors and design. 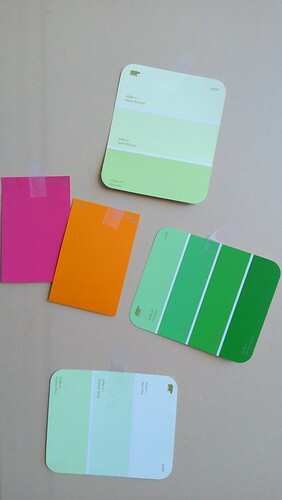 I will go for the garden section, paint supplies, or plastic containers, or even some cleaning supplies. 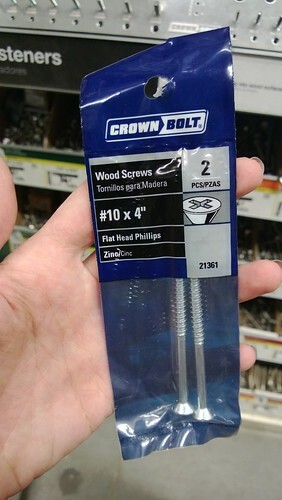 I usually will not go to buy wood and screws, I leave that for my builder, Matthew. 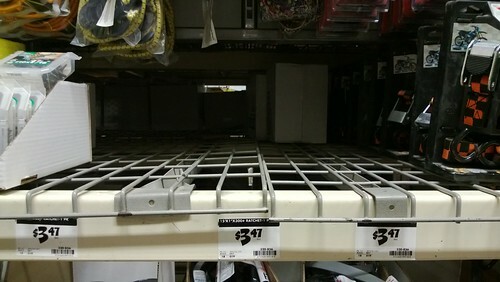 Matthew can spend hours roaming up and down those dusty aisles while I hold on to his leg crying to be released from this torture. This is me crying and waiting on Sunday while Matthew is in the tool aisle. I told him to get the pretty neon green ones, but he ignored me. 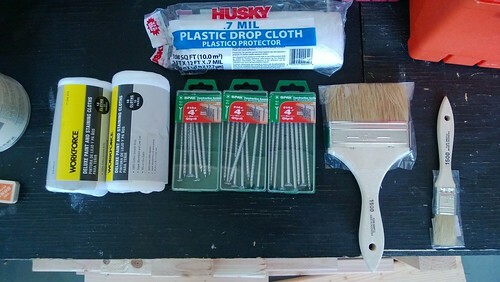 Today I went because I had to buy stain. For what? We are building a farmhouse table! Well I should say the farmhouse table is basically built already, the top still needs to be screwed in and then it needs to be stained. Then I need to find chairs, but that’s another story. So for the last few days I have been agonizing over what color stain. I have spent hours every single day looking up stain examples online, having a deep conversation with myself about what would we best. Matthew kept asking me what it was going to be and I would start to shake in fear. Just writing about it causes me anxiety, I’m not kidding. It’s such a important decision! So I received a text this morning from Matthew saying “Get Stain!”. I held my phone, shaking, not knowing what the decision was going to be. I had a idea in my head, but I couldn’t confirm anything until the paint is made. I texted back to Matthew “How dare you!”. He didn’t understand why I said that. 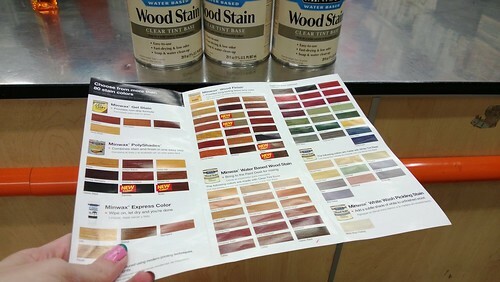 I went to Home Depot and visited the stain section. I still wasn’t sure. I visited the paint section. 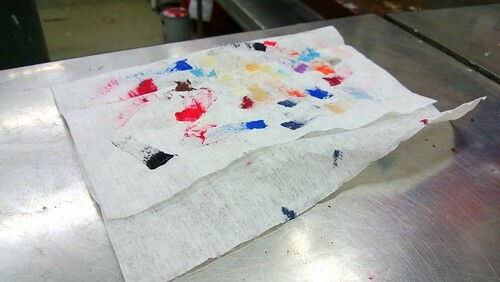 I saw this pretty paper towel with lots of colors on it! I texted it to Matthew saying “How Pretty!” but he ignored it completely. Then I made the choice. The kind of stain we wanted was water based so it had to be made, it wasn’t pre-made. 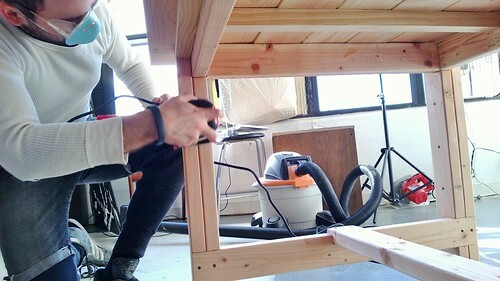 We wanted this because the fumes will be much better and it’s quick drying. They didn’t sell gallons of this unfortunately so I had to get 3 small cans made (I hope that’s enough!). 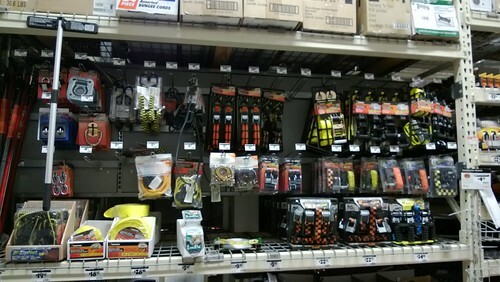 So there I am, telling the Home Depot worker my color choice. “You sure?” She asked me. “No, but let’s get it over with” I mumbled between tears of anxiety. 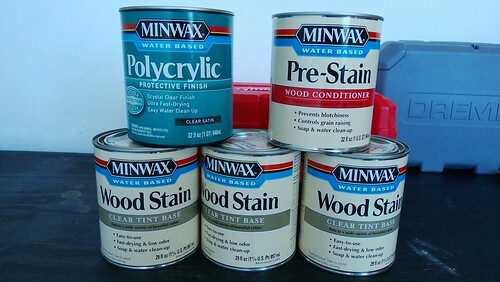 Then I needed to get wood conditioner and a protective finish – all water based. This wasn’t as stressful but the price tag of the protective finish made my eyes pop out of my head. 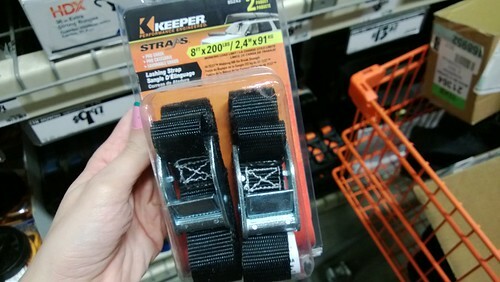 I picked them back up in Aisle 8 and kept moving along. I thought I was done, I could leave this store. Then I got the dreaded text.. “I need a few more things”. Oh god, no. Please, no. Please don’t make me buy things I don’t know what they are. 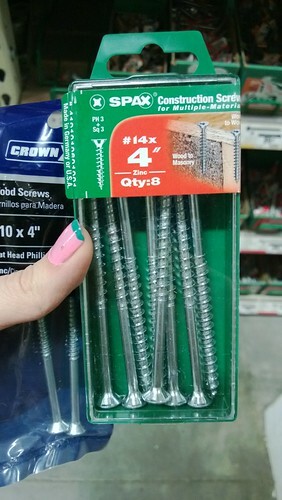 “Get me 20 4 inch wood screws” – Matthew texted. ”What color is the box? Or are they in plastic baggies?” – I responded. Then I start texting photos..
Then I just ignore him because he ignored my box comments. I got the ones in the box, of course. A new text comes in..
At this point I have asked 3 employees who all tell me I am crazy and they don’t sell them in single packs. So then I find another employee who told me they don’t sell them and then I show him the website link that says they have 36 in stock. “They are looking, it is intense” – P while watching boxes fall all over. The employees are now in the back of the store looking at the receiving trucks because they are missing completely. Then I sent him this picture of them missing on the shelf just to prove to him. Then I leave the store and text him this picture..
No response from Matthew. Rude. 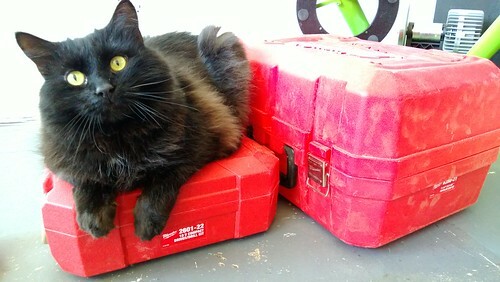 This entry was posted in Uncategorized by Meowza. Bookmark the permalink.